Los Angeles County is home to about 290 days of sunshine a year. With that amount of sunshine and our mild winters, it is no wonder why Los Angeles County draws 70,000 new residents a year. Some would say that Southern California is almost like paradise, but unfortunately paradise comes with a price. The cost of living continues to rise as electricity rates skyrocket. Fortunately, there is an efficient way to lower your energy bill. What you may not know is that the source of saving is also Southern California’s beloved trait: sunshine. 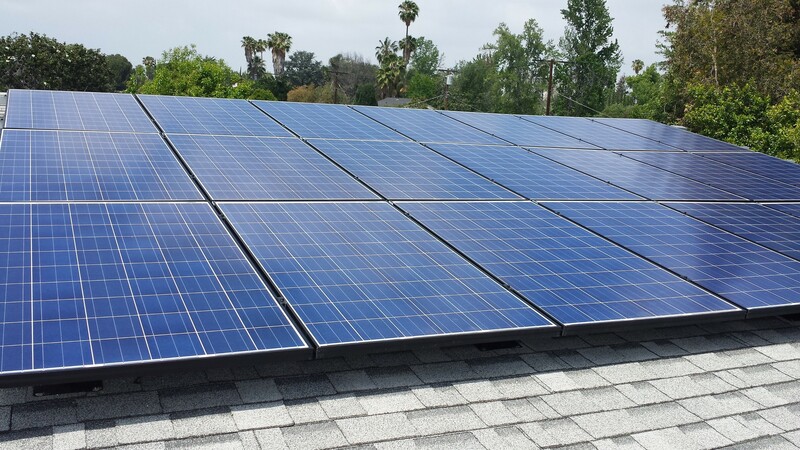 Learn how your home can benefit from free energy given to us by LA’s famous sunshine with solar and electrical services Woodland Hills. Solar power is green, clean, renewable energy that breaks free from the dependence of fossil fuels, gas or coals which have been proven to be harmful to our environment. Solar energy produces no emissions, contrary to many utility-supplied power sources. And best of all, solar energy is cost-effective. The process of installation is on us. Our team of skilled engineers, electricians and installers are with you every step of the way, from beginning to end. We begin by analyzing your usage history. We inspect the site to think of ways to make your home more energy efficient. The condition of your roof is also taken into account, as well as the roof layout. Our free and simple quote accurately defines the full scope of work, so you won’t be surprised by any hidden fees. Our high-quality solar panels are customized to fit your roof space, while adhering to your budget. Moonlight Electric Services’ panels are American made and offered with a 10-year warranty, but guaranteed for 25 years. Before we begin the project, we make sure to file all of the necessary paperwork to access utility rebates. Once our design is approved by the Building and Safety and Fire Marshall—and the Home Owner’s Association if necessary—we will work with you to schedule an installation date. Installation is not invasive; we do not need access inside of your home as our work is done outside. Our skilled and experienced team of installers carefully handle the solar panels with high-quality tools and solar materials. To ensure proper function, we test each solar panel first. Our seasoned electricians make connections from the solar array to the main panel and test the system’s production. We contact Building and Safety after the system is installed, and request an inspection. As soon as your solar system is given a Permission to Operate, you are ready to experience the benefits of renewable energy! Solar panels eliminate your energy bill, increase your home’s value, and lock-in energy costs. But perhaps the most rewarding benefit of solar systems is the decrease of your carbon footprint. Considering that the average American household generates 7.4 tons of carbon dioxide a year, you can rest easy knowing that you invested in renewable energy. With solar electric systems Woodland Hills, you can save money and save the planet.